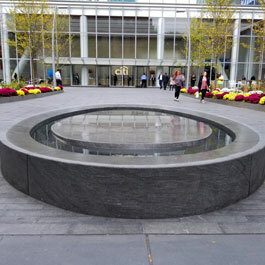 Delta Fountains manufactured and supplied the equipment for the massive water all at Woodruff Park. The geyser fountain is adjacent to the water wall in the park. 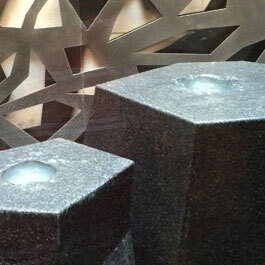 Delta Fountains provided the equipment for the fountain. 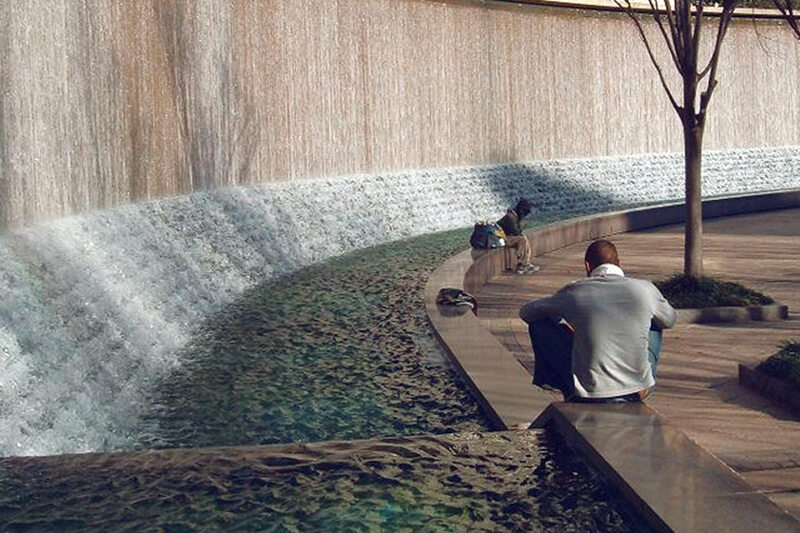 Delta Fountains was involved in the construction of the International Peace Fountain that commemorates Atlanta’s pivotal role in the Civil Rights Movement and creates an oasis within a bustling business district. 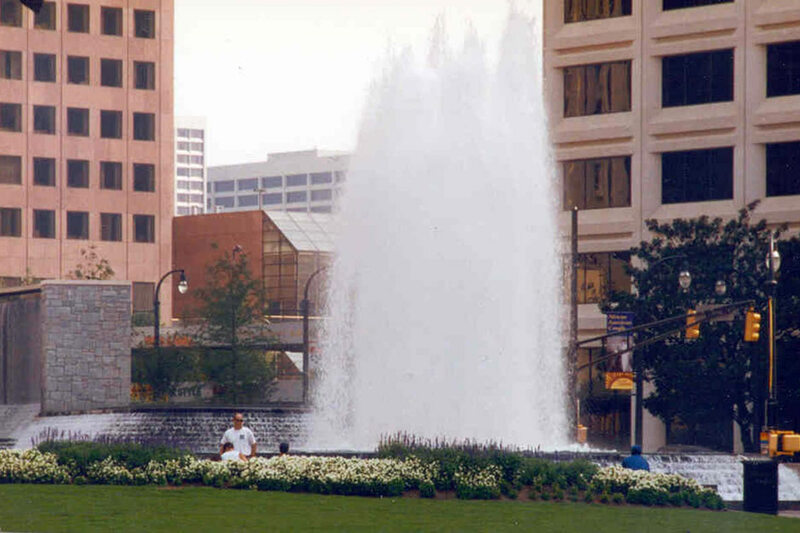 The fountain is located in the Robert W. Woodruff Park, a six-acre open space in downtown Atlanta planned for the Centennial Olympics in 1996. The large geyser feature pumps more than 9,000 gallons of water per minute into the air. 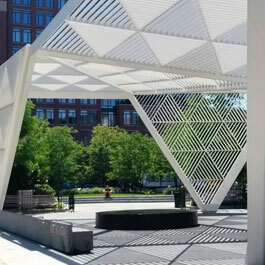 The water wall, which spans more than 150 feet, provides a dramatic backdrop to the park, and a memorable gateway to Auburn Avenue and the Martin Luther King, Jr. National Historic Site. 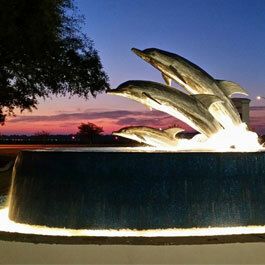 The fountain is animated and controlled by a programmable logic controller (PLC) that is capable of running an infinite number of display variations. The PLC also provides for future upgrades in the design, including the addition of music and laser shows. Delta supplied multiple components for the features, including lights, controls, water-level sensors, water-makeup assemblies, and a large portion of stainless steel fabrications.